All life lies veiled in numbers. 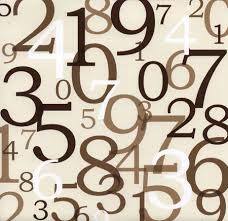 The study of Numerology relates to the energetic frequencies within all things. The date of birth and the name provide specific harmonics which come into play when we physically enter a new lifetime. Using Numerology, we can determine your Life Lesson, Soul and Outer Personality Numbers as well as your Path of Destiny and the blueprint of your life. Dramatic transformation can be created along the way with name changes, marriage, nicknames and the like. Additionally, on each birthday one enters their own personal cycle or vibration - it can be remarkably helpful to determine where you reside on your life's journey, thus allowing the cycle to work for you instead of trying to force things too soon. Being conscious of the energetic frequencies of numbers can also be of great assistance when choosing a place to live or work, the date of marriage or the birth of a new business. Choosing wisely can create a world of difference. Krystina offers personalized Numerological charts and classes and also incorporates the power of numbers into counseling sessions. Discover your potential! Numerology is a wonderful field of study which can be utilized to better understand who you are and the influence of cycles within your life. Charts include information about your Life Path, Soul Number, Outer Personality and Path of Destiny as well as a life blueprint. I practice Pythagoras’ approach, combined with influences from the teachings of the MotherPeace tarot.